Fear has been a healthy business driver for Melissa Carbone, the mad scientist behind Los Angeles-based Ten Thirty One Productions. 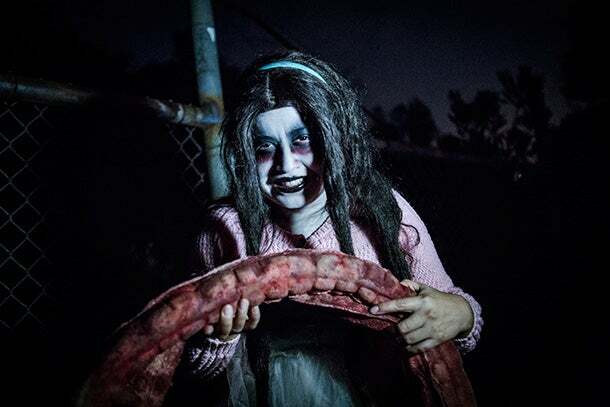 Named for Halloween, Carbone's favorite holiday, the company scares the bejesus out of willing customers at interactive events, including the Haunted Hayride (a tractor-drawn trek through the abandoned Griffith Park Zoo) and Ghost Ship (which sails out on short horror cruises). 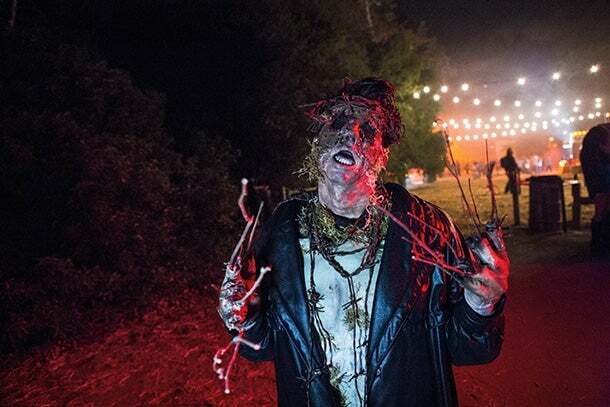 Ten Thirty One events feature costume-clad actors, lavish special effects, spine-tingling original music and a deluge of simulated severed limbs, bodily fluids and related horror props. "People love to be scared, but in a safe environment," Carbone says. "To be scared when you can actually be hurt or when there is real danger, that's obviously not fun. But that adrenaline of being scared in a safe environment--people will consume that all day long." Carbone--a former senior manager at Clear Channel Media and Entertainment, where she organized events across multiple corporate platforms--launched the company in 2009 along with Alyson Richards, who remains Clear Channel's vice president of strategic partnerships. "I was always a huge horror fan," Carbone recalls. "Every Halloween, we set up a haunted courtyard at our house, and hundreds of kids from across the neighborhood would come through. I realized that if you have the best-decorated house of the season, everybody comes over, and I began to wonder if that could be turned into a business." Her research revealed that annual consumer spending for Halloween is nearly $7 billion, according to the National Retail Foundation. 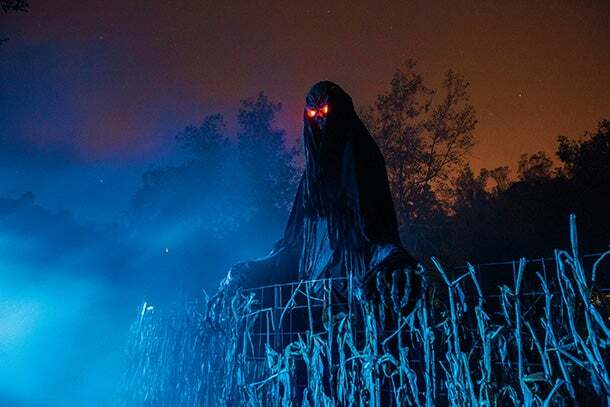 Ten Thirty One launched with the Haunted Hayride, based on the Halloween farmland excursions that are a childhood staple in Carbone's native Connecticut. But the company "supersized the concept and put it on steroids, L.A.-style," leading thrill-seekers on a 25-minute tour past gothic castles and burned-out churches, complemented by a maze overrun with monsters and maniacs. The Ghost Ship's maiden voyage was in 2011, delivering 75 minutes of frights amid three floors of a vessel said to formerly house criminals too dangerous and unstable to remain on dry land. Ten Thirty One went national last summer with the introduction of the Great Horror Campout. 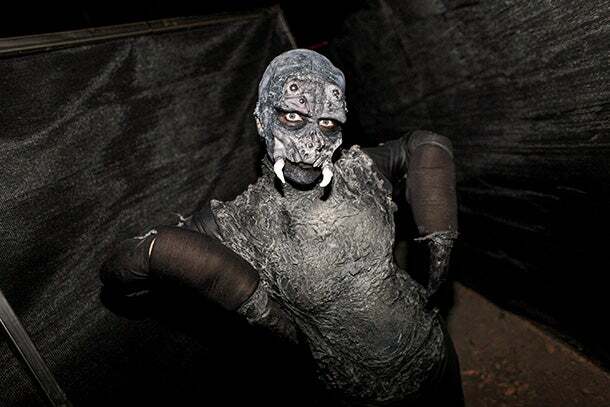 Spanning nine U.S. cities over 11 weekends, the interactive scavenger hunts had campers (ages 18 and older) collecting items at nightmare scenarios like sacrificial voodoo rituals and blood baths, with the winner crowned "Hellmaster." The intense physical demands are just one facet of the experience; campers must also avoid up to 100 "scare actors"--Ten Thirty One repertory players and local hired guns authorized to forcibly handle, capture and exact simulated torture on ticket holders. "You determine how far you want to go, how much you want to do and how dirty you get," says Tori Miller, a registered nurse from Kingman, Ariz., who attended the campout in L.A. "Sometimes you have to dig through something ooey and gooey, or dig through a toilet full of vomit. And then all of a sudden you look up from digging, and a monster is staring at you. It scares you half to death. It's so much fun." The monster mash brings in monster cash. Tickets for the Haunted Hayride cost $30, the Ghost Ship costs $59, and the Campout starts at $99. 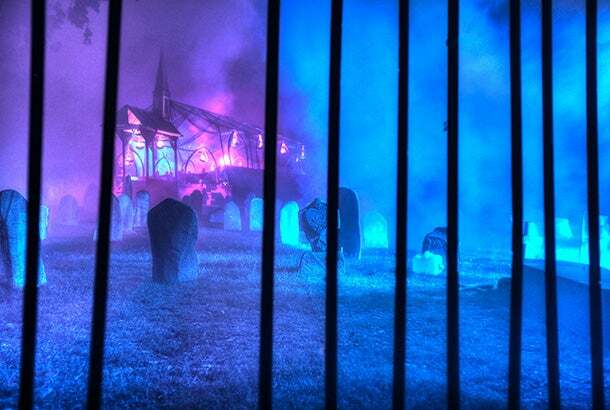 In 2013, the Haunted Hayride alone pulled in $1.8 million during the 17 days leading up to Halloween. Carbone projects sales of 200,000 tickets this year. Investors include Shark Tank Mark Cuban, who gave Carbone $2 million for a 20 percent stake in the company--the biggest deal in the TV show's history. Other Ten Thirty One investors include concert production firm Live Nation. 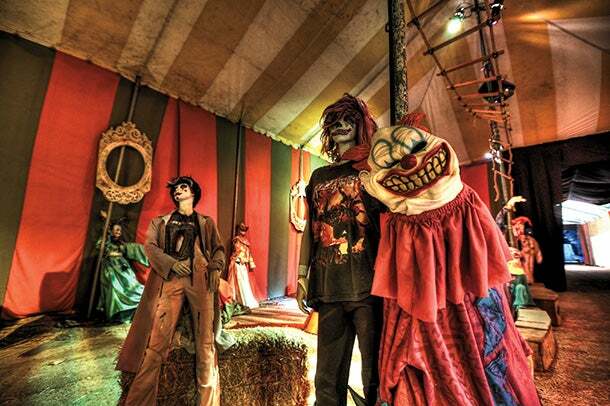 In 2015, Ten Thirty One will roll out the Haunted Hayride in New York City and San Francisco. And Carbone is already scheming more diabolical plots to come. "This is a model that doesn't exist in the marketplace," she says. 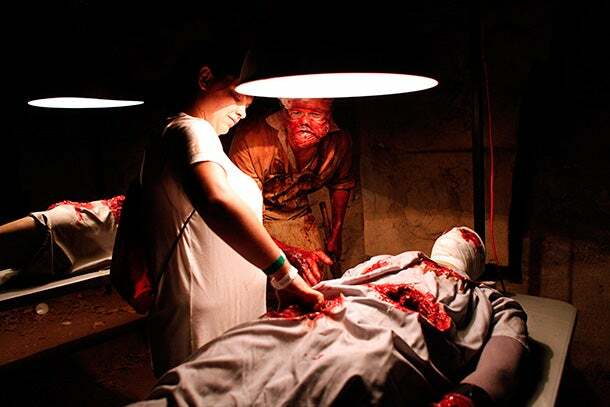 "Most Halloween attractions are small, but these are incredibly layered events. There's nothing else like it."